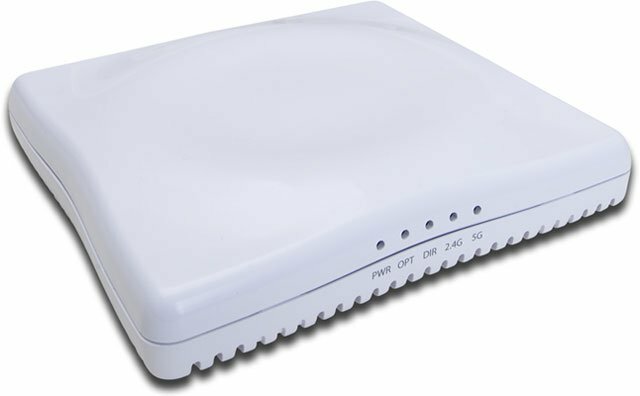 Ruckus ZoneFlex 7363 - ZoneFlex dual-band (5 GHz and 2.4 GHz concurrent) Mid-Range 802.11n Wireless Access Point, 14-element smart antenna, three ports (1GE + 2FE), PoE support. Does not include power adapter. This part is the international version for all countries besides USA and Israel. This part requires the purchase of WatchDog Support. A sleek and low-profile design, the ZoneFlex 7363 was purpose-built for cost-minded enterprises requiring reliable high speed client connectivity. It is ideal for a variety of enterprise and hotspot environments including hotels, schools, retail outlets, branch offices and public venues. Unlike any other 802.11n wireless solution in its class, the ZoneFlex 7363 combines patented adaptive antenna technology and automatic interference mitigation to deliver consistent, predictable performance at extended ranges with 4dBi of signal gain and 10dB of interference rejection. The ZoneFlex 7363 can also be easily deployed using Smart Mesh Networking to extend Wi-Fi services in locations where Ethernet cabling is not available or cost prohibitive. The Ruckus 901-7363-WW00 is also known as RUC-9017363WW00	or 9017363WW00	.